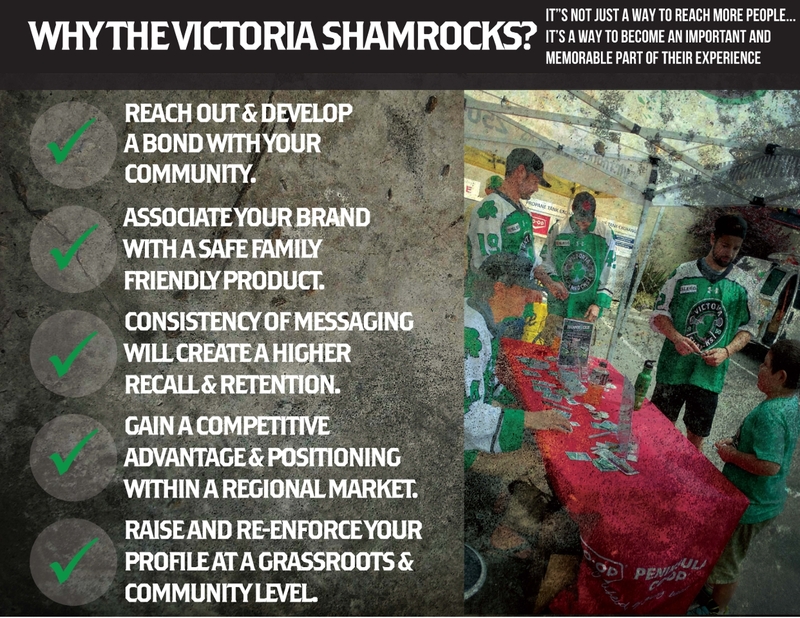 For more information on opportunities to partner your brand with the Victoria Shamrocks please email [email protected] or phone 250-801-0647. 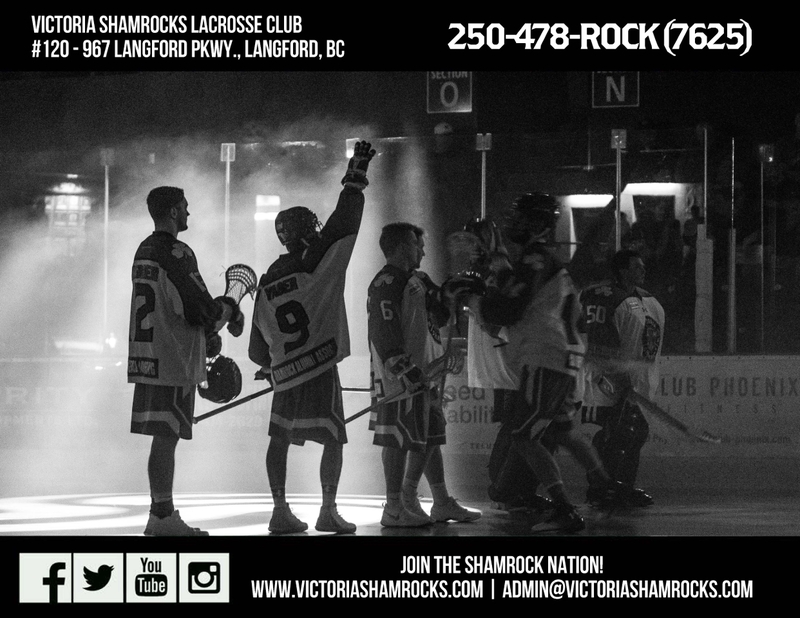 The most successful and storied team in the WLA and across Canada, the Victoria Shamrocks offer you a chance to be part of history every time they enter the arena. And with the highest average attendance in the league, every Shamrocks game offers up endless opportunities for you to score big and conquer some valuable space…in the hearts and minds of your customers. 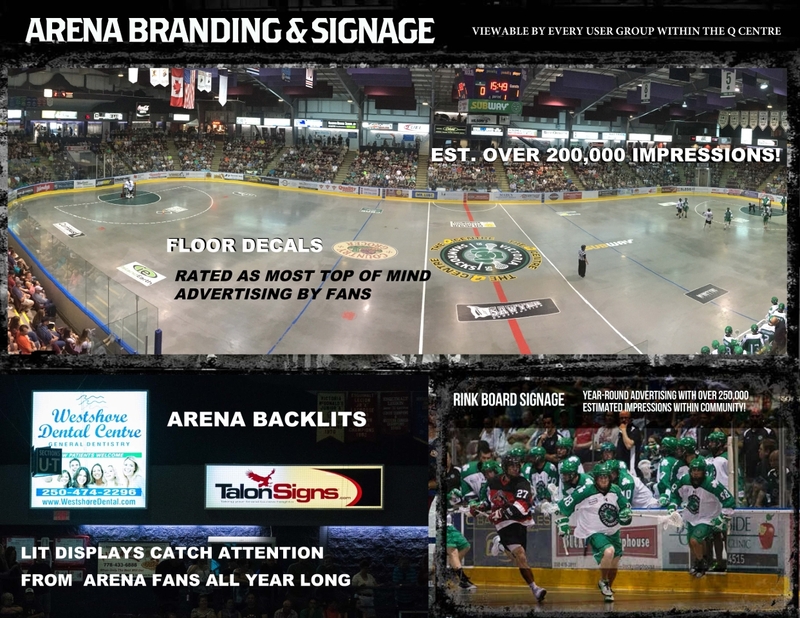 When you take advantage of sponsorship opportunities with the Victoria Shamrocks organization, you associate your company with an extremely strong brand synonymous with excellence, passion, loyalty, grit, and above all…success. While Shamrock fans come from all walks of life and all age groups, research shows that they are men and women living and working in and around the Greater Victoria. Here are some other things you might not know. A world-class venue for those looking for a place to shine, The Q Centre is filled with opportunities for you to put your company in front of fans who are loyal to their team, their “town” and businesses who support the quest for the Mann Cup.